Doors open from 7pm with the quiz starting at 7.30pm. Food will be served at 8:30pm. Bring your own drinks. Entry is open to teams of 4 to 6 and tickets are just £7 per person (including food) + one raffle prize per team. 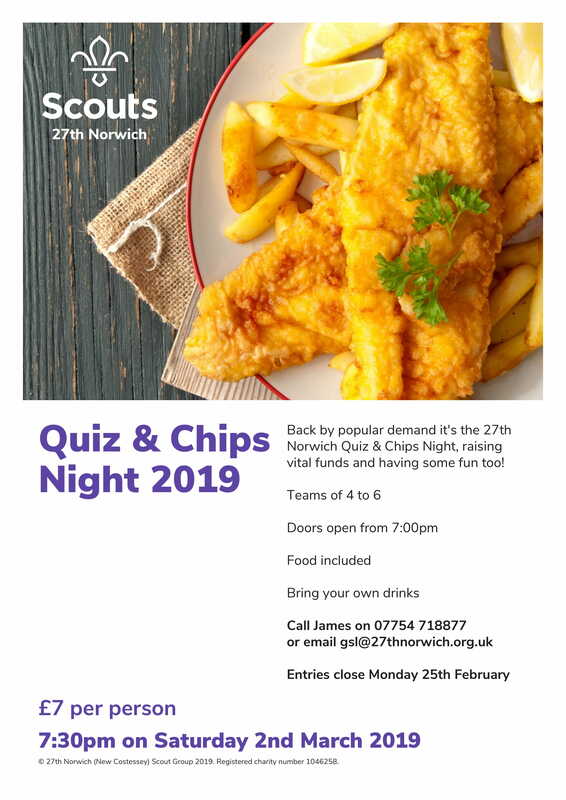 Entries close on Monday 25th February 2019 with entry fees due on the night.